Then one day she meets a stranger at the Houses of Parliament and, on impulse, begins a passionate affair with him - a decision that will put everything she values at risk. At first she believes she can keep the relationship separate from the rest of her life, but she can't control what happens next. All of her careful plans spiral into greater deceit and, eventually, a life-changing act of violence. I have had this book since before it was on the TV but was never that bothered about reading it, I just kind of had it. I decided it was finally about time to give this go and it was worth the wait. We are introduced to Yvonne as she is sat in the courtroom learning her fate. We are then thrown back to a time before all of this when everything began. I needed answers from the very start, why was she in court? what is Apple Tree Yard? Whilst the pacing was slower than I expected I felt a lot was built up allowing us to get answers. Yvonne seems to be a sensible woman, she is well respected and has always supported her husband and family and as we get to know her its kind of hard to realize she is in court for something horrific. When an unexpected event as a result of a passionate affair spreads into her normal life things cannot be controlled anymore, and as it spreads further into her life everything changes. 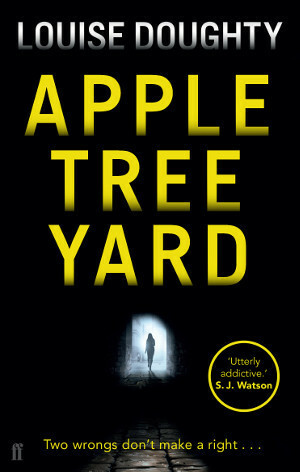 Apple tree yard is a thriller that takes a serious look at our choices we make in day to day life. I found I was hooked in straight away and ended up carrying the book around the house with me should I have a spare 5 minutes. I wanted answers, I wanted to get to know the characters further - I wanted to know where it had all changed, and mostly who was X. 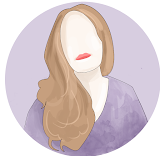 A wonderful narrative has been created and it has all been written with a purpose and in some parts I was frustrated because I wasn't getting what I wanted then and there but then I would get further along and it would click why it had been delayed. A fantastic read and I cannot wait to watch the TV show to see how well it translated! Louise Doughty is a novelist, playwright and critic. She is the author of five novels; CRAZY PAVING, DANCE WITH ME, HONEY-DEW, FIRES IN THE DARK and STONE CRADLE, and one work of non-fiction A NOVEL IN A YEAR. She has also written five plays for radio. She has worked widely as a critic and broadcaster in the UK, where she lives, and was a judge for the 2008 Man Booker Prize for fiction.